An email newsletter is a great marketing tool that strengthens your relationship with customers and prospects, and can lead to more sales! Did you know that 44% of email recipients made at least one purchase last year based on a promotional email! 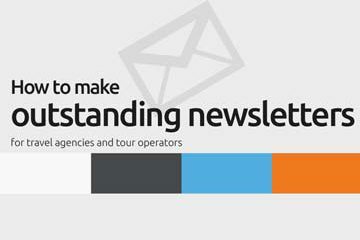 We’ve all seen bad examples of travel newsletters with dry content and a confusing layout, that’s why it’s important to make a newsletter that stands out.